Hope you all are doing fine & enjoyed the festive season to the hilt. This time I have come up with a review for a ready made face pack from a much known brand Biotique, and the pack named “Biotique Biofruit Whitening & De-pigmentation Face Pack”. To know more about my experience with this product, please read ahead. Target Skin Type: - For all skin types. 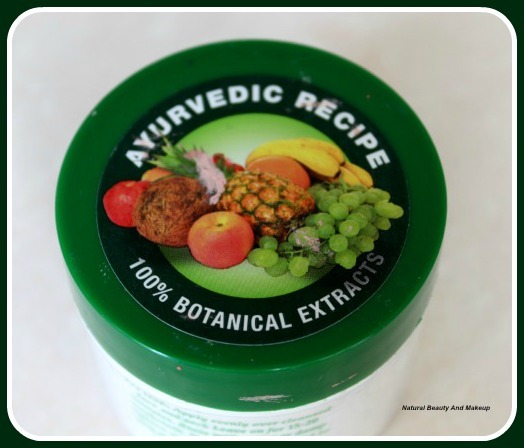 Price: - INR 199 for 75 grams. How To Use – I apply this pack evenly over the cleansed face and neck. Then leave it on for 15 -20 minutes as per instructions. After this, I rinse my face with water or damp washcloth. 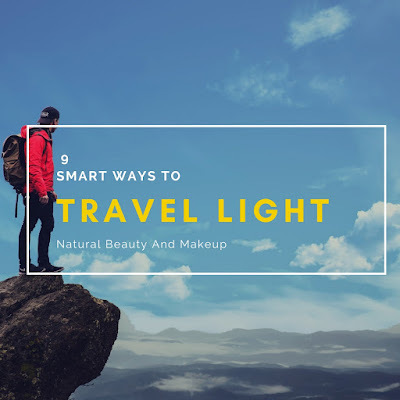 It says to use daily or as needed to lighten and brighten the complexion. 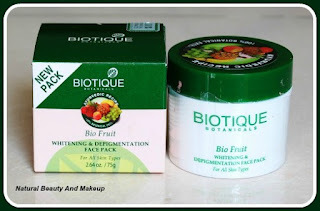 This face pack comes in a tub-type white coloured regular Biotique face pack container with a green top lid featuring fruit pictures. It has an additional lid attached to avoid product spillage. The texture is very soft and has a velvety finish. The face pack is of deep peach colour and it has a fruity smell which is nice and quite pleasant. I have a combination skin, little on oily side but noticed it was getting super dry. Zits started popping and left impressions on my face. Softness was missing, no matter how much moisturizer applied on face! Though am of Wheatish complexion, but the skin colour was getting darker... Clueless! Having such multiple problems, I tried each and every possible homemade remedy along with a good diet. A few months back I had moved to Pune with my hubby, so the climate could have been a reason here. But I was positively looking forward for some good readymade packs which were easy to use over homemade ones. Then I spotted this Biofruit pack which could possibly be an answer to all my problems. This face pack is made of herbal ingredients such as Multani mitti, Tomato juice, Pineapple juice; etc. We all know the power of Multani mitti in removing the scars, pigmentation and oil from the skin. Tomato and Pineapple juice is also considered to be highly effective on skin lightening and imparts a radiant glow to the skin. To be honest, I’ve never heard of other ingredients like Geru powder,Yashad bhashma before this but our Google guru has all the answers right? By doing a small research I got to know that these are widely used ayurvedic herbal medicinal plants, which play essential role in the treatment of skin tanning, pigmentation and acne issues. The packaging of this face pack is spill proof so you can easily keep this in your kitty while travelling, a plus-point here. 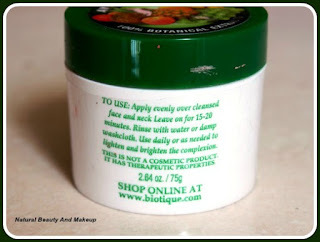 It has a good shelf life of around 3 years from the date of packaging, so you do not need to get worried for emptying it soon unless you use regularly. The texture is of velvety finish and is easy to apply on facial skin & neck. No strong tingling sensation and no extra dryness factor. Now coming to the results, it did not do any wonders on my skin! 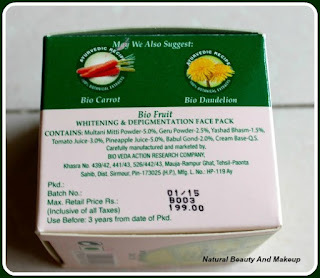 As per its whitening and skin lightening claims, I would say it does not live up to the expectations! My skin though feels soft after each application. Scars are not reduced, skin dullness and darkness still persists. Also, while removing the pack, it stains the wash surface (floor / basin) if not washed properly. 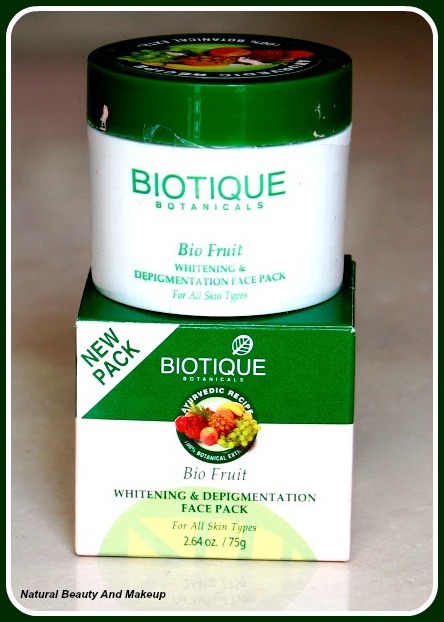 Does not live up to its claim of Whitening & De-pigmentation! Beauties with completely dry skin may avoid this. 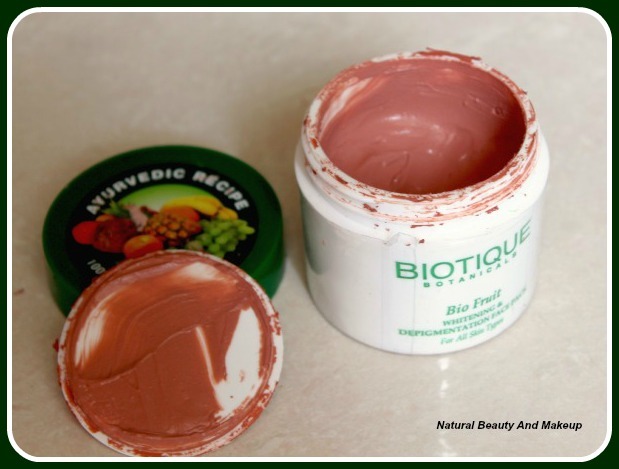 I personally like Biotique products as they are natural and safe for skin and hair, but somehow this product didn’t work for me considering all my weird conditions! But you folks can give it a try, in case it may work for you. Have You Tried This Pack Yet? If Yes, What’s Your Experience? Do Let Me Know In The Comment Section Below.